I was testing if i could move some of my services that were too slow on a bad shared hosting service, i thought it would take a few days for me to configure, move, and test everything. This was my first deployment of an AWS service, and my first time deploying EC2. The instructions were clear, and i managed to move everything in a few hours, everything seemed to work from the first attempt. i ended up redirecting the server to the new EC2 instance i made that very same day. the documentation helped. it would have taken hours (or days) longer if i didnt have the instructions. I am not certain I see the value of this AMI. I installed it hoping that it would enable all my PHP scripts. As mentioned in previous reviews, you will need to spend considerable time reconfiguring the virtual hosts. It is not straightforward. After hours and hours it still did not enable my PHP scripting. There are good reviews explaining how to set up LAMP step-by-step. These are also fraught with some difficulty, but the complex virtual hosting is bypassed. And there is no way of contacting "technical support." So you are on your own. As with all technical services, the documentation is awful. This is a great product! After you install, read through the docs. The commands are a little custom, but it will make sense after reading through the docs. Here's how to access phpmyadmin. Good for new Linux users, not so good for experienced users. This LAMP Distro is definitely aimed at Linux new comers more than for experienced Linux cmd-line users. The web-based application management system reminded me of cPanel, though command-line tools are available for many functions in the Bitnami package. But they are not the "standard" Linux commands due to their packaging and location in /opt. Thus my recommendation is that this is fine for newcomers or cPanel users, but advanced users will probably want to build out their own LAMP distro so that packages are located and function as they are already used to. Note, if you are training to be a Linux Dev/Ops person, build your own LAMP stack from scratch, so you can learn the default layout and commands that your distro (Ubuntu, CentOS, Fedora, etc.) uses instead. This image is really awful! 1) All applications are installed in /opt/bitnami instead of their default locations. If an expert, like me, tries to work with it, he has to learn all configs from scretch. 2) All applications are highly coupled. In order to change mysql data location I had to edit 15!!! files. 3) It's not possible to restart single application, as all of them are installed in a bundle. 4) There's no even restart for the bundle service. Probably it was the worst experience I ever had with preinstalled images. Probably good for experts but very strange for a newbie. Apache is not configured as usual (index.php is not recognized as default page). I failed to find documentation to create virtual servers (the final s is important) on a single instance. I was unable to import my aws instance in the Bitnami console. I gave up after an hour, and went back to naked ubuntu with apache, mysql, etc ... manual install. Alright guys, after reading, reading, reading and trying, trying, trying finally got mysql's password! It's really hidden to me since I didnt know you have to look at the amazon logs and look for the application's password which is the same as the mysql password. So the default user name is root and the password is in the amazon log. 1. Go to your amazon console and find your ec2 instance. That's how you get your root mysql password. Every piece of software that I've used from Bitnami is excellent, this is no different. 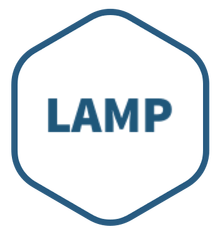 Easily create and destroy server instances with an easy to use, standardized LAMP stack. I highly recommend this. This is exactly what I expected! It works great and I haven't had any issues with the software. I recommend it to all.